TV show dates: March 18, 2013 — present. Performers include: Elizabeth Moss, David Wenham, Peter Mullan, Thomas M. Wright, Skye Wansey, Geneviève Lemon, Robyn Malcolm, Kip Chapman, Jacqueline Joe, Ewen Leslie, Clayton Jacobson, Nicole Kidman, Gwendoline Christie, Alice Englert, David Dencik, Anjee Douangphoumy, Elaine Crombie, Merlynn Tong, Lincoln Vickery, and Byron Coll. 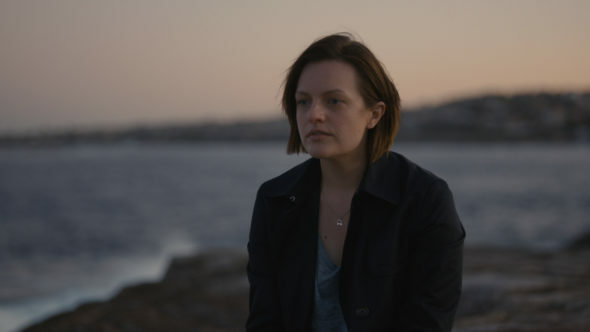 A mystery crime drama, the Top of the Lake TV series stars Elizabeth Moss as Detective Robin Griffin. The first season centers on the investigation into the disappearance of a pregnant 12 year old New Zealand girl named Tui Mitcham (Joe). Due to dark events in her own past, Griffin identifies with the victim’s circumstances. The second season, subtitled “Little China Girl,” is set in Sydney Australia, four years later. Griffin partners with Constable Miranda Hilmarson (Christie), of the Sydney Police Force. When an unidentified Asian girl’s corpse washes up on Bondi Beach, Griffin and Hilmarson investigate. Although the case seems impossible at first, Griffin gets a break when she realizes someone was with “China Girl,” when she perished. What do you think? Do you like the Top of the Lake TV series? Should this TV show be cancelled or renewed for another season on SundanceTV? Please, please, please renew! I’m an American and I Love this show. It’s really creative and different from the shows that we have here. Love Top of the Lake! When will season 3 begin?